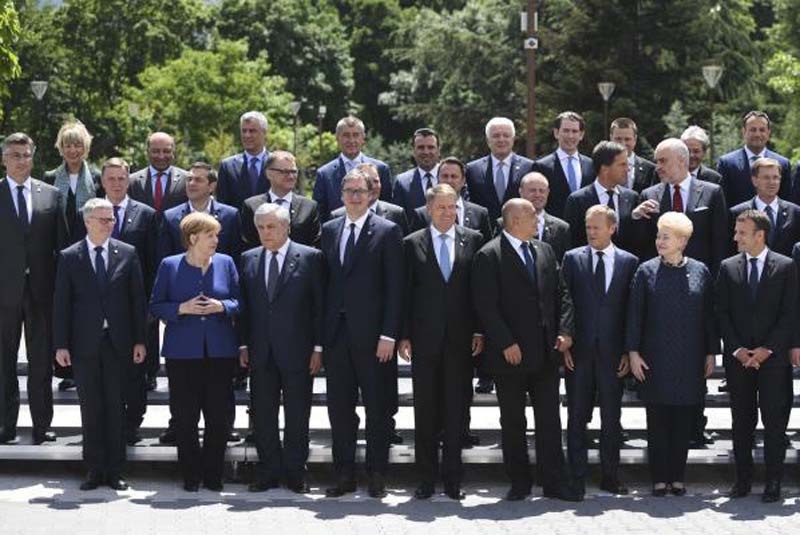 European Union members meeting in Sofia, Bulgaria, prepared a united front against U.S. decisions to exit the 2015 nuclear deal with Iran and impose steel and aluminum tariffs. The European Commission, the EU executive branch, announced Friday it "launched the formal process to activate the Blocking Statute by updating the list of U.S. sanctions on Iran falling within its scope." The blocking statute, created in 1996 to evade the U.S. embargo of goods to Cuba, will be remodeled to reflect Iran-related sanctions that were reinstated after President Donald Trump announced the U.S. withdrawal from the accord on May 8. Iranian Foreign Minister Mohammad Javas Zarif met with his British, French and German counterparts in Brussels earlier this week. "What we demand is no conditions and no limits and to go back to the situation before," French President Emmanuel Macron said at the summit meeting Thursday. "The condition for all talks is to lift all threats and tariffs, without mention of a time limit." Before European leaders failed to persuade Trump to maintain the United States' presence in the nuclear accord, the EU began working with European businesses negatively affected by the decision. It has already protected European companies working with Iran in the energy sector. "Everybody in the EU shares the opinion that the Iran agreement is not perfect, but that we should still remain in this agreement and that we should do further negotiations with Iran on the basis of this agreement," German Chancellor Angela Merkel said at the Sofia summit. The EU will continue to support the decision of the European Commission, which also said it will not negotiate with the United States until it receives a permanent exemption on steel and aluminum tariffs Trump imposed in March. The commission published a proposed law on Friday, calling for a $3.3 billion tariff on certain goods entering EU countries, as well as a 25 percent reciprocal levy, Bloomberg reported.